Founded in 2001 by Mario and Maria Tabraue, this private zoo, preservation and conversation facility for rescued and endangered animals is home to about 150 different primates, exotic species, predatory birds and mammals. Large organizations and U.S. 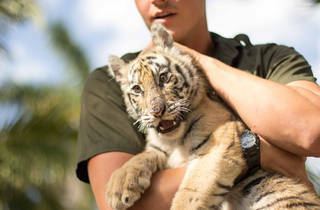 Fish and Wildlife Service send animals in need of extra care to the ZWF, where they’re rehabilitated and domesticated to thrive in controlled environments. To date, the facility has rescued 15 South African lions and helped a number of animals escape harmful conditions—such as Lola the vulture, whose talons were amputated due to frostbite before arriving at the facility. 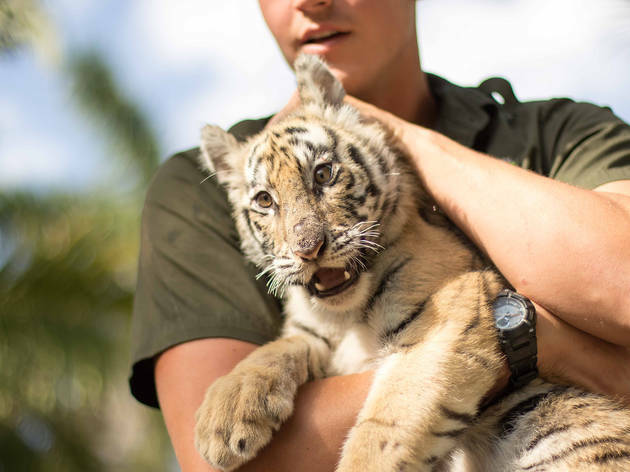 For more one-on-one interaction, guests can book interactive animal encounters for an additional cost and spend time holding, cuddling and learning about these remarkable creatures. Undoubtedly, Zoological Wildlife Foundation is the best place I have ever seen. As an animal lover it was a great experience for me to get to interact with a number of wildlife animals. Moreover the staff was very friendly and provide best wildlife tour. It goes without saying that the animals at ZWF are cute and fun to watch. But what may not be immediately obvious is the care they receive. A number of employees are actually volunteers but you'd never tell the difference, as each person who interacts with the animals takes such good care of them. They're knowledgeable and patient with the wildlife, some of which were previously abused and perhaps not the friendliest. The animals make the visit but their caretakers have a big role in making it a memorable experience. This is one of the best zoo in Miami where you can interact with various wildlife animals. I had visited this place with my daughter and it was really a fun time. I would like to visit this place again. Zoological Wildlife Foundation provides me the best wildlife tour. I always wanted to get interact with exotic wildlife animals and ZWF fulfill my this dream. It was a great experience for me and I recommend this place to everyone.